In these multicolored transformations of computer-generated forms, the artist makes connections between art, science, design, and visual poetry. 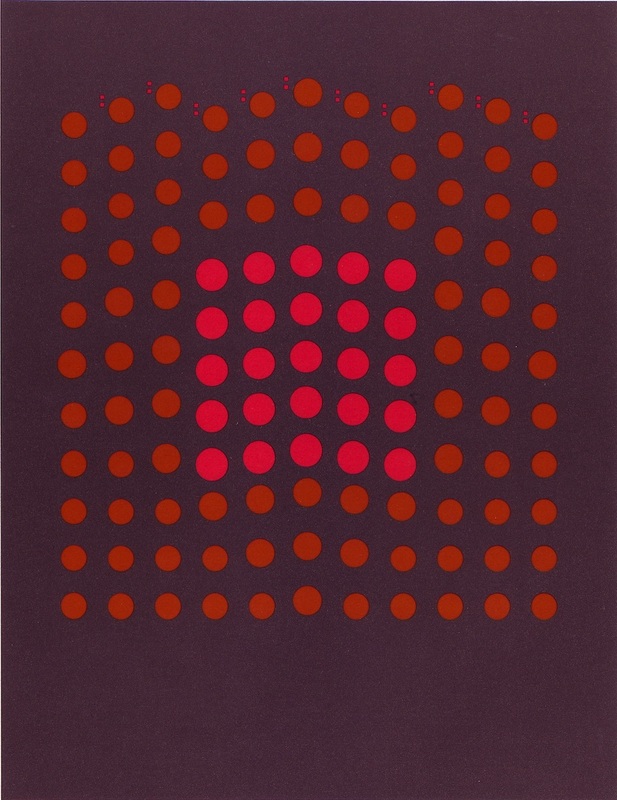 Aaron Marcus: Evolving Gravity, 1972–74; serigraph; 29 1/2 x 22 in. ; BAMPFA, gift of the artist. Educated in physics, mathematics, and philosophy at Princeton University and trained in graphic design at Yale, Berkeley-based Aaron Marcus explores new possibilities for expression. He created his first “computer-assisted poem-drawings” in the spring of 1972, when he served as a research associate at Yale University’s School of Art and Architecture. 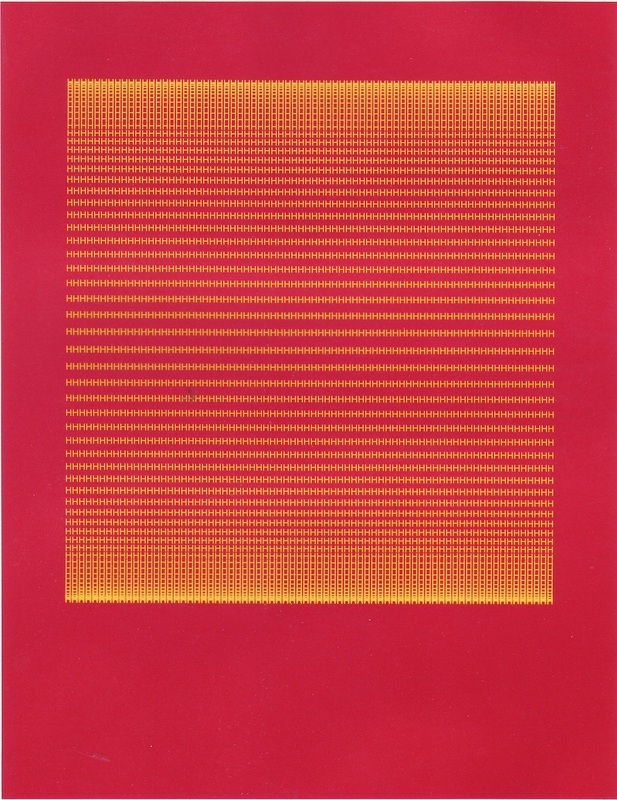 Using standard typographical symbols, Marcus experimented with a photo-typesetting machine connected to a digital computer, reordering the symbols and their uses to create new meanings. The resulting works were meant to be seen as white symbols against dark fields, in which both the negative and positive space are significant. In these multicolored transformations of his original computer-generated forms, printed as lithographs and serigraphs, the artist makes connections between art, science, design, and visual poetry. Aaron Marcus: Early Works is organized by Director and Senior Curator Lawrence Rinder.